Footage from Mirage 2000 crash hints at a possible mechanical issue. IAF studying video obtained from Air Traffic Control in Bengaluru. New Delhi: The Indian Air Force (IAF) is minutely scrutinising footage of the recent Mirage 2000 crash, obtained from the Air Traffic Control, and suspects that a possible mechanical issue and failure of the arrester barrier at the end of the runway may have contributed to the accident. 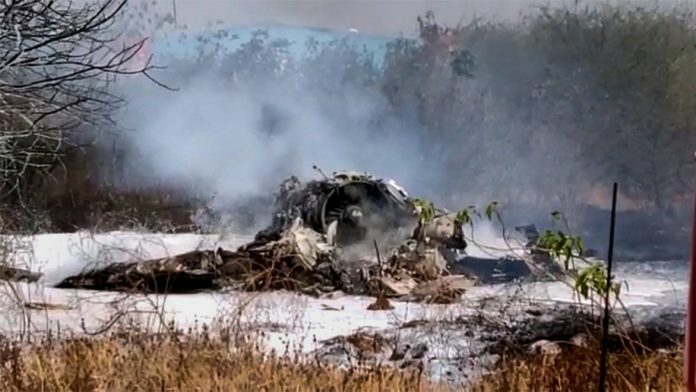 The crash, at the Hindustan Aeronautical Limited (HAL) airport in Bengaluru, killed both IAF test pilots — Squadron Leader Samir Abrol and Squadron Leader Siddhartha Negi. AF should now file an FIR against the person who was responsible for maintaining the barrier, drag that chap to court …. Put pressure on govt to dismiss the civ who is overall responsible. As that is MOD spend so much in court case. Please stop self pity, we have to stand against these civ in HAL. The Air Force should train army doctors in iridology, that is iris reading. The iridology can predict death or near death. All such aircraft personnel in the danger zone shouldn’t be flying sorties and should be given ground duty. As it is the Mirage is dubbed the Widows plane. How many sir force personnel should sacrifice their life before MOD scraps the plane. As a citizen of India i am incensed and deeply troubled by these deaths. Sad to hear such a unwary comment with both the facts incorrect. Firstly, you possibly can’t scan the iris of a pilot and find out about the fear of death without him experiencing the near death situation. No one can predict or even simulate that situation. But yes, a pilot may be tested for his emergency handling skills under pressure and may be graded accordingly. Secondly, you seem to be confused with the aircraft supposedly known to be a “widow maker”, that’s MiG-21 and definitely not Mirage 2000. If IAF stops flying aircraft of Mirage 2000 calibre then probably they will have to phase out their 3/4th of the fighter fleet. So please get your facts correct before commenting on such sensitive topic.